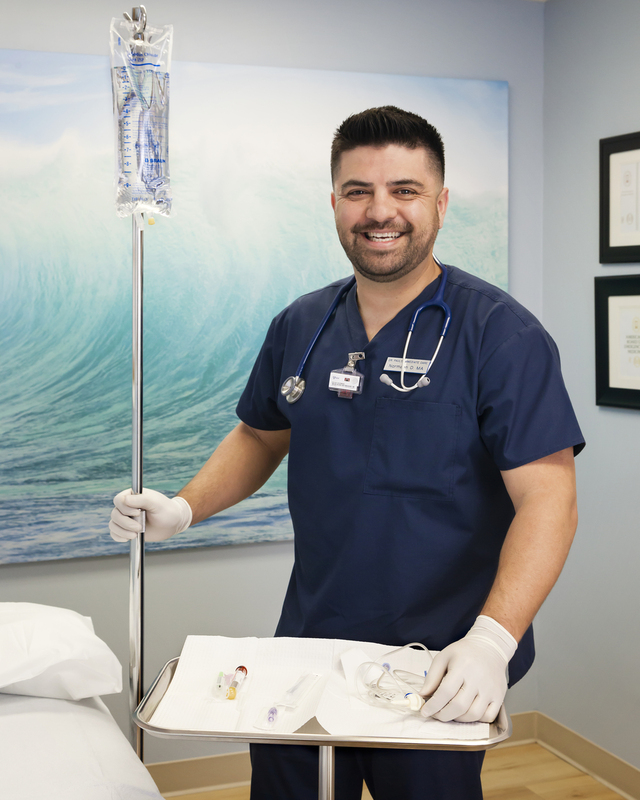 Dr. Paul Knittel and his medical team offer IV Hydration and Vitamin Therapy in a clinical setting. It is a safe and effective way to replenish fluids and vitamins through an intravenous process (IV). Depending on your medical needs, or elective condition, Dr. Paul Knittel and his team will design the appropriate treatment. Pricing will vary and be dependent on the Medical Providers, analysis of each individual and needed course of action. Please feel free to speak with one of our Patient Care Coordinators for additional information. 310-374-5600. Walk-In NOW! Standard IV Hydration includes 1 Liter of Normal Saline & A Complex Multi-Vitamin Solution. Additional Vitamins, Medications & Saline are available.